It has one of the best beaches in the world. The aquamarine waters of Calaguas are undeniably crystal clear so it’s guaranteed that you’ll have a good time snorkeling, swimming, and taking your underwater videos. It’s so fine and white that it won the Battle of the Sands in 2015! 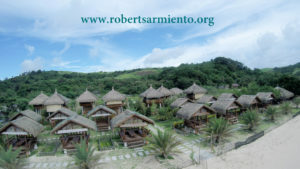 Details : This existing resort was developed into an Eco-Village. It has a frontage of 73 meters and a depth of 230 meters. The beach is 50 meters wide. There is a hill in the back of the property which offers a beautiful panoramic view of the ocean. Phase 1 is just about completed and Phase 2 planning is ready and for the Investor to complete. The development plan is composed of two phases. Phase I involves the establishment of the basic facilities in line with the objective of providing environmentally friendly accommodation to preserve the natural beauty of the island as well as preserve the environment. 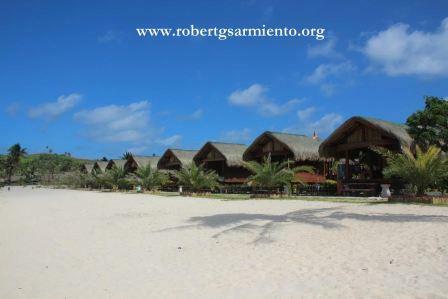 Phase I called for the construction of 14 Cabanas, 8 Eco-kubo (Kubol), and common bathrooms for male and female guests. Construction of 14 Cabanas has been completed. 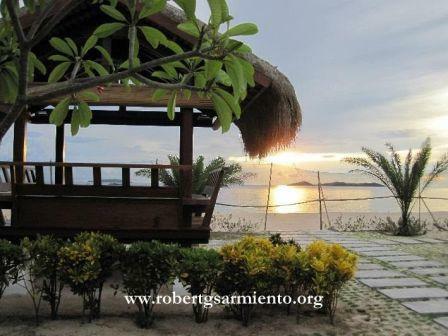 Cabanas are popular among day trippers who enjoy the beauty of the beach and the sunset. Swimming in the crystal clear water is a favorite pastime The Cabanas can sit 6 persons and can also sleep up to 4. Bamboo blinds are rolled down for some privacy while allowing ventilation. Those who prefer to sleep in the Cabanas enjoy the cool sea breeze and marvel at the breathtaking moonset. In addition, this Island has recently been rated No. 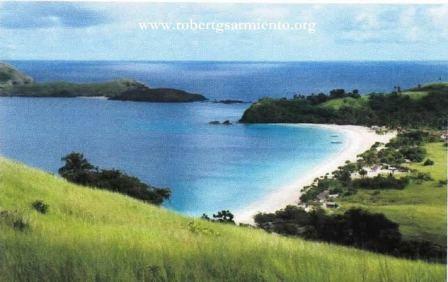 1 Philippine Gems in a survey conducted by Isla Lipana. With an initial list of 175 upcoming tourism destinations in the country, the list was shortlisted to 25. After a month’s long public voting and 80,000 votes, this Island emerged on the top over Lake Sebu (South Cotabato), Tubbataha Reef Natural Park (Palawan), Caramoan Islands (Camarines Sur), Biri Island Rock Formations (Northern Samar), Mt Kanlaon (Negros Island), Danjugan Islands (Negros Occidental), Panglao Island (Bohol), Apo Island (Negros Island) and Batanes (Cagayan Valley). Excellent Return on Investment, income generating resort ! Other pertinent details are available upon “serious” interest only ! For further details on this property, please call our office at 8561365 * 09175364829 * 09776742094 * 5536051.